Defiance is a mixed bag of a game, if you like open world shooters that allow you to eventually co-operate with up to 4 pals you are in luck. If you find downloading 4GB every time you log on annoying, then you are not. This time the update will be worth downloading as it contains the Arkbreaker DLC that opens up all the story missions to co-op. Arkbreaker is slated for release this December 10 to enjoy an all-new mission line, cold fire weapons, interior arkfall instances (including the 20-player Volge Warmaster boss) plus new content that’s free for all Defiance players: Stims, Spikes, Co-op missions, and more! Team up to play through all of the missions in Defiance and dive into co-op versions of single-player instances! This is great news for co-op fans as Defiance has essentially gone from being a MMO game with additional co-op missions, to being a campaign co-op game; Co-Optimus' favorite type of co-op. Race against Dark Matter to secure an ark-brain interface with the power to call down arkfalls. In the wrong hands, it could be used against ark hunters across the New Frontier. In your hands, it will yield incredible new technologies from arkfalls you bring to Earth. Call down all-new arkfalls and battle your way inside. Explore interior environments holding new and advanced weapons (and Volge enemies ready to defend them!). Discover cold fire sniper rifles, pistols, and assault rifles in player-summoned arkfalls, plus 20 new advanced-tech weapons that put a spin on your current favorites. The world-conquering Volge Warmaster is serious business – for 20 players – for 7 minutes. After that, this final boss of our new major arkfall will teleport back to the Volge. Defeat the Warmaster before he vanishes to earn some of the best loot in Defiance! Everyone who gets the Arkbreaker DLC pack also receives the Volge Engineer outfit and increased daily and weekly log in bonuses. Grant ammo, increased damage, and shield power to allies with hi-tech ground Spikes. Once planted, Spikes radiate benefits to nearby players for a set duration or until destroyed. Get juiced with special hypospray Stims that provide healing, speed and strength boosts, or an EGO power refresh. Like double Overcharge? Inject away! Mark items as favorites to have them jump to the top of your inventory, and sell or break down all non-favorite items at the press of a button. We’re rolling out daily and weekly log in rewards plus Contract revamps, continued combat refinements, and more. 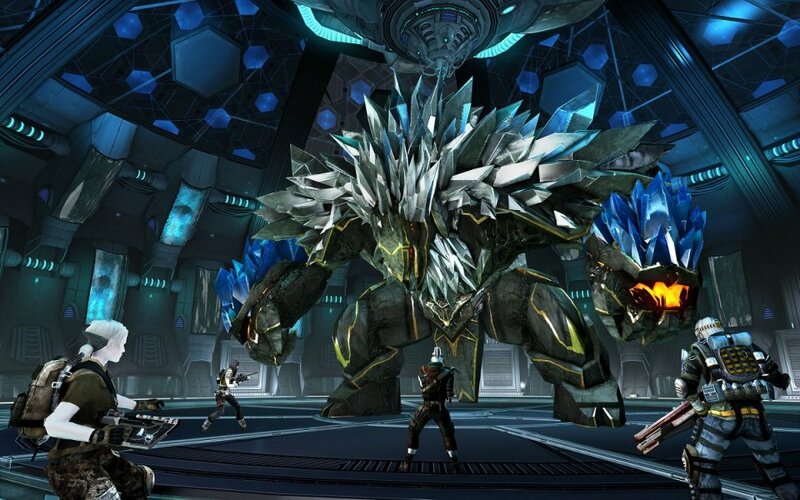 Stay tuned to the Community blog for the latest DLC and Defiance info. The pack is due out on December 10th. Will it encourage you to go back and have another look at the game? Page created in 0.3918 seconds.